The rectangles within this painting do not extend to the edges of the canvas and appear to hover just over its surface. Heightening this sensation is the effect of chromatic afterimage. Staring at each colored segment individually affects the perception of those adjacent to it. 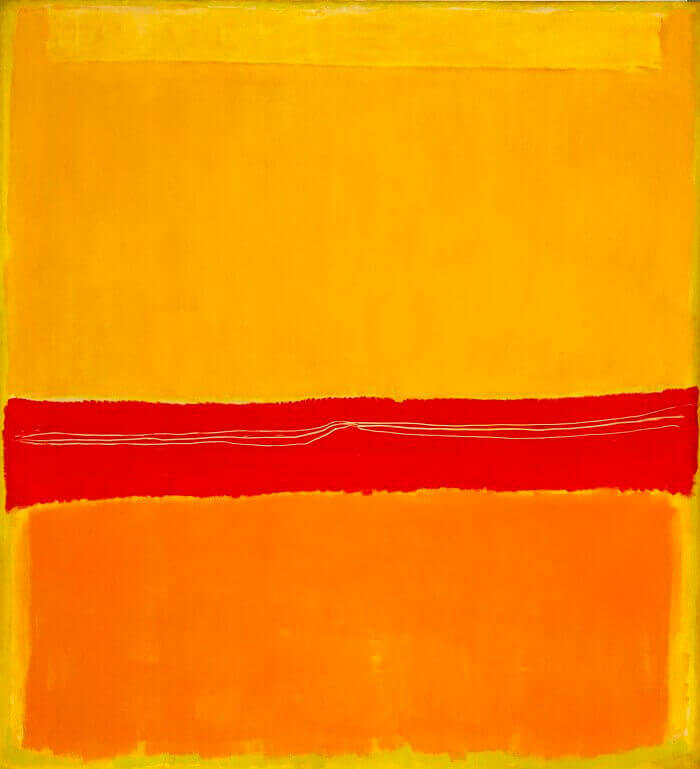 The red - orange center of the painting tints the yellow above it with just a bit of green. The yellow above seems to tint the orange with blue. 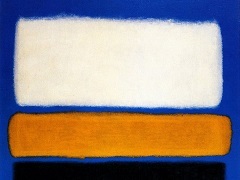 Despite these color relationships, Rothko did not want his pictures appreciated solely for their spectral qualities. He said, "If you are only moved by color relationships, then you miss the point. I'm interested in expressing the big emotions - tragedy, ecstasy, doom."